Decorating a small garden can be easily done with a little planning – Here are six tips to do so. Having a plan is important because there are many questions that you need to ask yourself before you start decorating your garden. 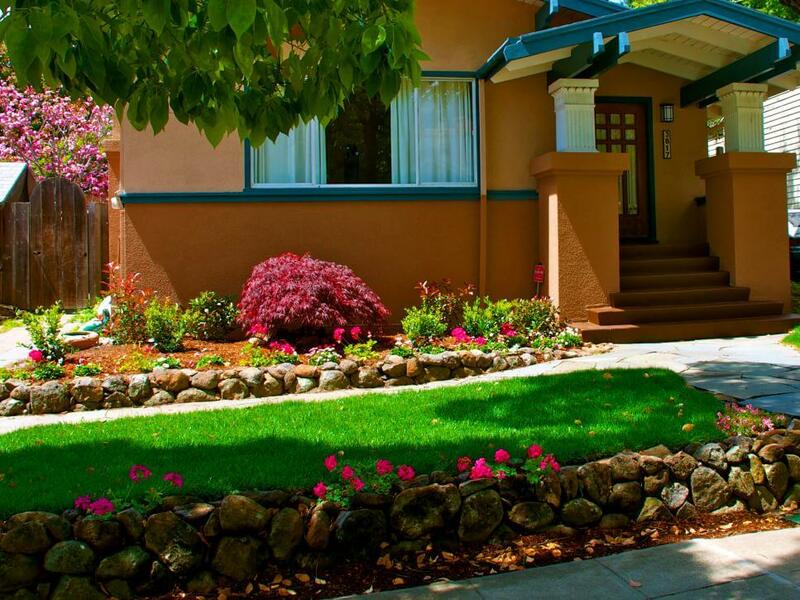 You need to consider if the garden is narrow, rectangular or square. 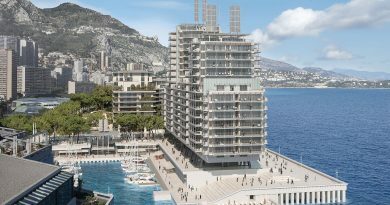 You also have to consider how much light and direct sunlight it gets. Where the sun falls in the garden will impact where you can plant certain types of plants. Once you know everything about the garden, you have to make a wish list. You should consider if you like the look of pruned foliage which offers you borders and strong lines or if you are partial to something wilder. You should also think about whether you like flowers or do you prefer shrubs or a bit of both. When you choose a motif, you need to stick to it. This will ensure that you are not doing any unnecessary work or spending money on plants that you are not going to be using. A great way to bring from character to a garden is to have pockets of plants. There is nothing more boring than a garden that is full of grass and grass alone. You should look at contrasting colors, sizes, shapes and textures. You should consider grouping shrubs and flowers so you have tall upright plants missed with wispy shorter plants. 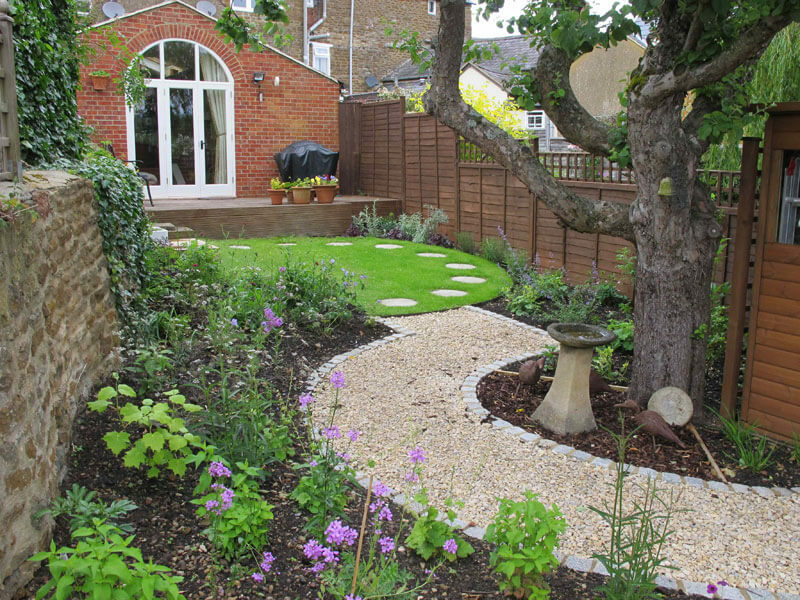 Plant beds should be bordered with rocks, flagstone or timber. If you want a versatile garden, you can use containers and pots which can be moved when the seasons change. You can keep your pot types the same or you can mix and match using a range of clay, ceramic and metal pots. You can create a formal feeling to the garden with even numbers of pots while odd numbers will make the pockets more informal. When you create your pockets, you need to ensure that the plants all have the same requirements. This means that light and water requirements need to be considered before you plant. 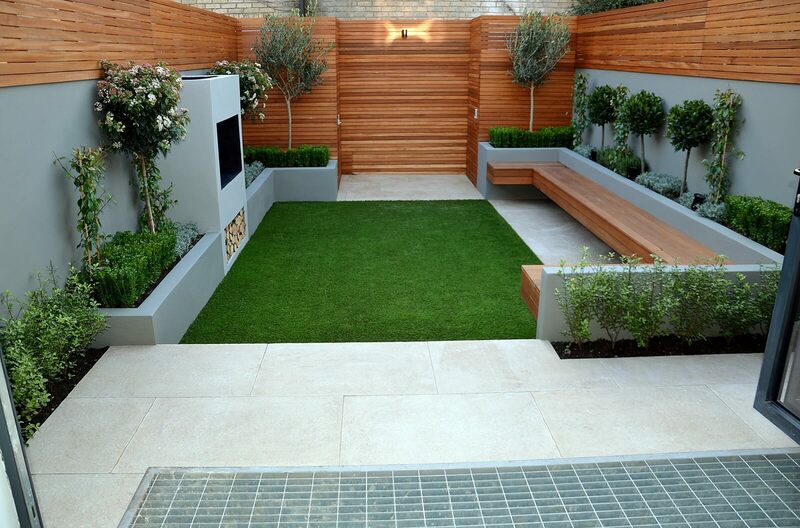 Small gardens should take advantage of the vertical space they have. 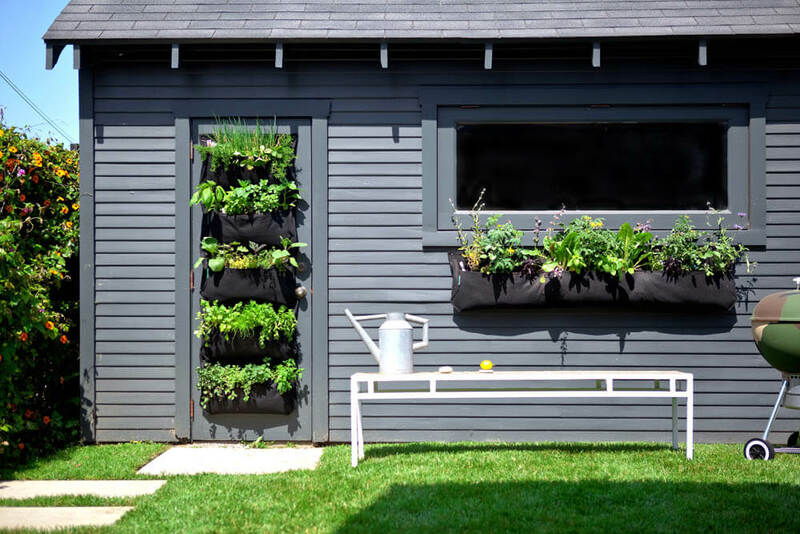 To do this, you can place pots on garden ladders to increase the space that you can use. You can also screw boards and plywood onto the fence to make shelves which hold more pots. If you have an old tree stump, you can use it to create levels in your garden. If you have a garden trellis, you should also use this. You can hang plants from the trellis without a lot of effort. 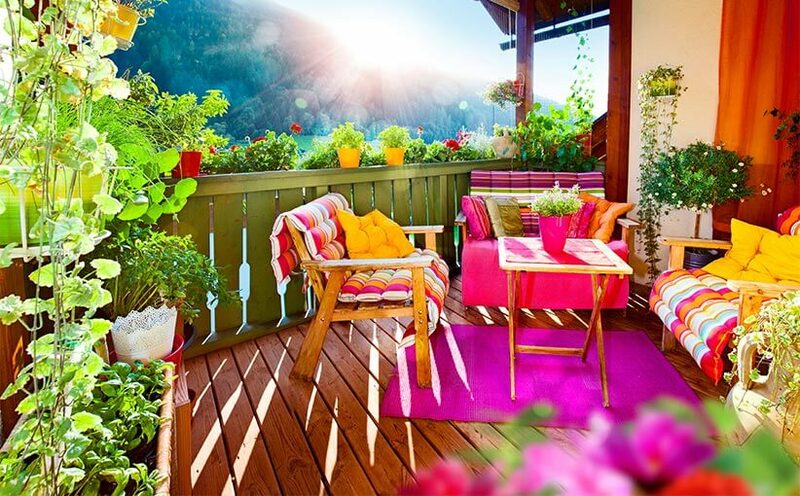 However, you need to be careful with this as too many plants in higher places can make the garden appear smaller. 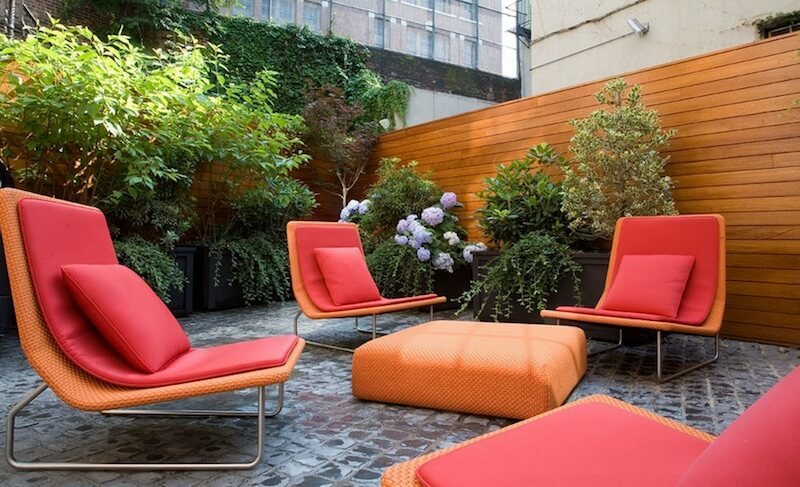 A lot of people think that garden furniture is too large for a small garden, but there are some pieces that you can use. Wrought-iron chairs and tables can be used in a small garden or you can use a small bench. When using iron furniture, you should allow it to become weathered as this will add a rustic feel to the garden. Accent the seating with cushions or pillows, but you need to ensure that you use a water-resistant fabric. Little ornaments and accessories such as watering cans and spades at angles on the fence should also be added. This will create a whimsical feel to the garden and they can be found at sales, second hand stores and in the shed. If you can find a vintage wagon, you could use it as a plant container which adds a bit of fun to the garden. Outdoorartpros.com also have a nice selection. Mirrors are a great way to increase depth perception both inside and outside. You should look at attaching one to the fence or wall. Having a large mirror among the shrubbery will also increase the perceived size of the garden. 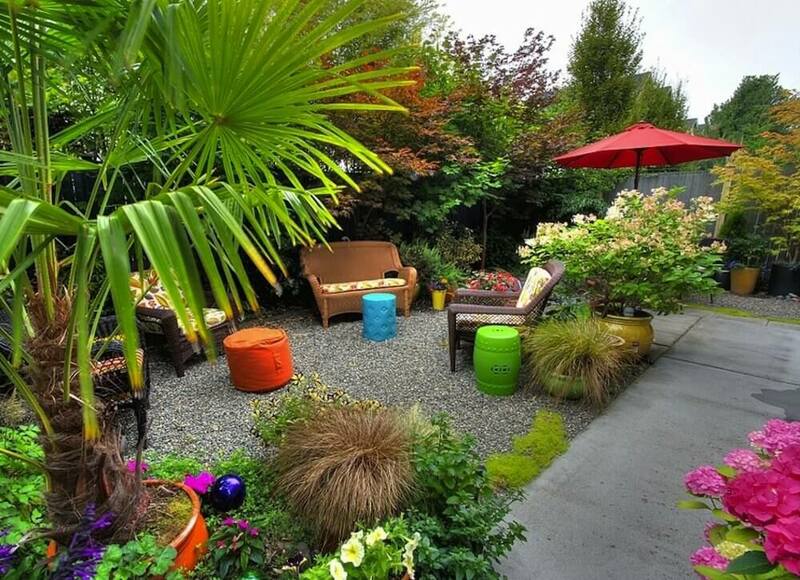 You can also fool the eye by having rounded paths or keeping the scale of your containers on the small side.